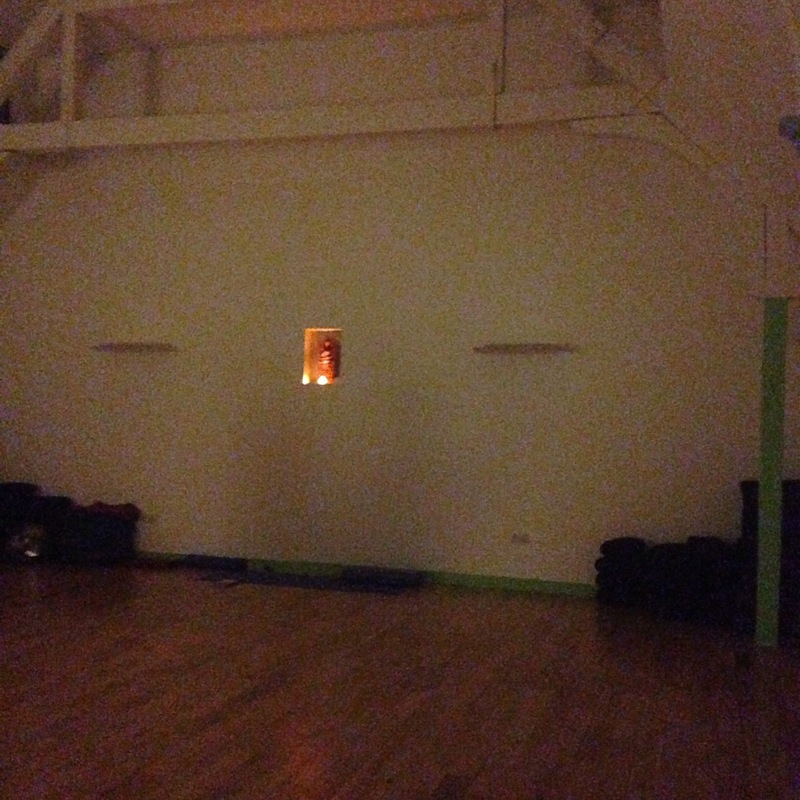 On Friday night I went to a wonderful one off class run by Yoga Folk. It was an hour long Yin Yoga class accompanied by a cello player. Sounds like bliss doesn’t it? I’d seen the event earlier in January but wasn’t sure if I would be free or if I was sure I wanted to go. It was sold out but on Friday morning there was a message on the Facebook event to say there had been some cancelations so I sent and email and got a space. After a really rubbish week of being ill, stressed and busy it was exactly what I felt I needed. The class was held in Gathering Essence, a lovely yoga space in Edinburgh’s city centre that I’d only been to once before. It has underfloor heating, big sky lights, nice changing rooms, lots of props, and a small kitchen for you to make complementary tea before or after class. I am going to try to go to more classes here as it’s such a nice space. Helen, the founder and teacher from Yoga Folk, has a really nice manner and made everyone feel really welcome. This was my first yin yoga class so I wasn’t sure what to expect. We all had a collection of props; boosters, soft cushions, eye pillows, these were needed for the different poses. Yin yoga is very different from my usual yoga classes and you hold the poses for two or three minutes, allowing you to get much deeper into the poses. As they are held for so long you need boosters to prop you up and support your arms, legs or shoulders. I found that poses that I can easily hold in a vinyasa class were a lot more challenging when being held for that long. I was also able to get much deeper into the poses as I relaxed and at the end of the class was fully stretched. The class was really relaxing, as we held each pose Isla, the cellist, played a solo piece. It was blissful and I’m pretty sure that I wasn’t the only one who could have fallen asleep in savasana and indeed in some of the poses before. The event was a one off but I hope that they run it again as it was such a lovely evening. I’ve spoken to a couple of people about the class and they’ve all said it sounds great and that they’d like to try it. I’d like to also try a ‘normal’ yin yoga class in the next couple of months to see how that compares.